Monaco’s enduring appeal as the playground of the rich and famous and the world’s capital for all things luxury makes this small country one of the top yacht charter destinations. 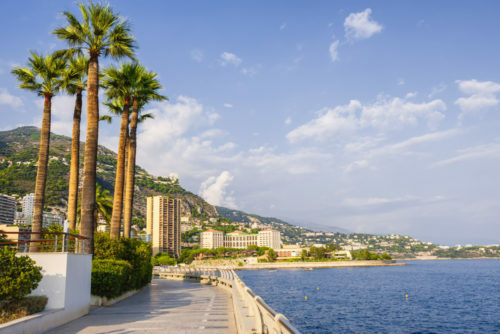 Here our some of our favorite recommendations for what to do, where to go and what absolutely must be seen during your monaco yacht charter! 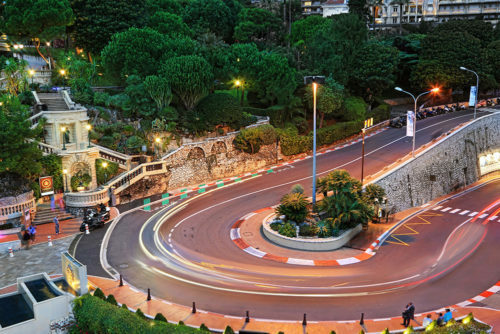 Located in the heart of the French Riviera, a Monaco yacht charter not only boasts the excitement of the fast life as it is most well-known as being home to the Formula 1 Grand Prix, but also has a certain old city charm that can be found throughout the principality from the cobblestone streets to the Belle Époque architecture. 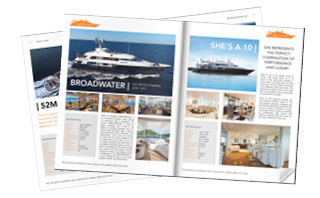 The Mediterranean is the birthplace of the luxury yachting industry, and chartering a yacht around its crystal clear shores and stunning archipelagos is one of the great pleasures of a life well-lived. 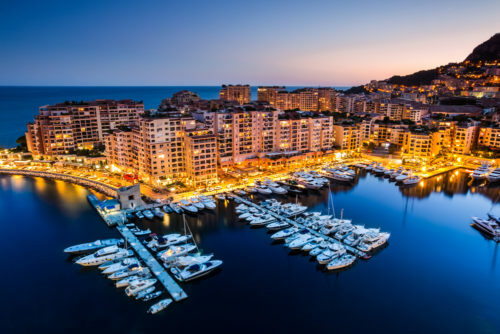 Surrounded by steeply rising hills, Monaco’s Port Hercules (Port Hercule in French) is situated in an impressive setting and provides opportune access to Monaco’s range of attractions. 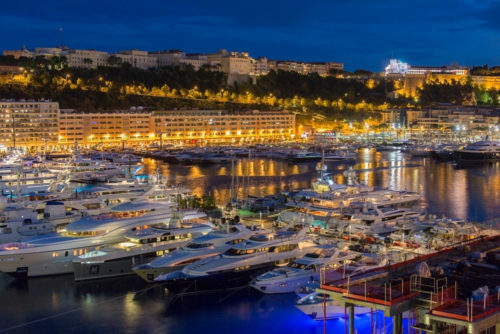 Experiencing the views of the marina and town at night, when the bright lights of boats and buildings combine to create a truly spectacular sight, is an absolute must for anyone involved in the yachting industry. 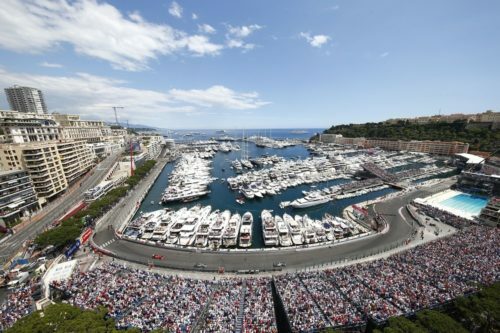 Situated right on the Grand Prix race track, the notorious Port Hercules sparkles with mega yachts. Port Hercules is able to situate up to 700 vessels at a time. 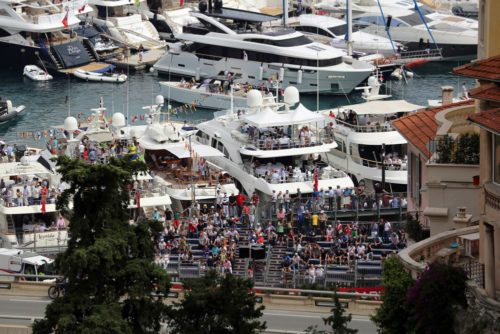 During the Grand Prix, many guests watch the famous race from aboard the multi-deck super yachts. 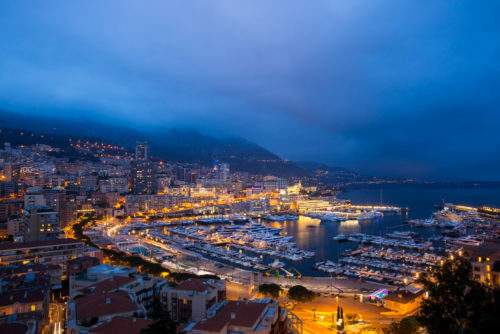 As Monaco naturally attracts high-flyers, so does the Yacht Club de Monaco. 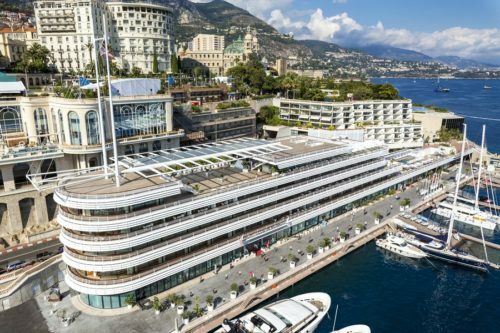 The Yacht Club de Monaco’s unique building was designed by Lord Foster to be both aesthetically pleasing and high-tech with multiple terraces strategically designed to resemble the decks on a boat with unobstructed views of the harbor and of the race circuit. In the quartier of La Condamine, adjacent to Port Hercules, there are a plethora of shopping and culinary options to suit any mood. Stroll up and down the charming, pedestrian-only streets, peeking into each boutique for a unique experience or stop at one of the many restaurants for an afternoon cappuccino. The idea behind the liqueur was conceived during the search for a typical Monegasque gift to bring to family at Christmas. The perfect drink for your monaco yacht charter. A premium drink was ideal, but there were none to be found. 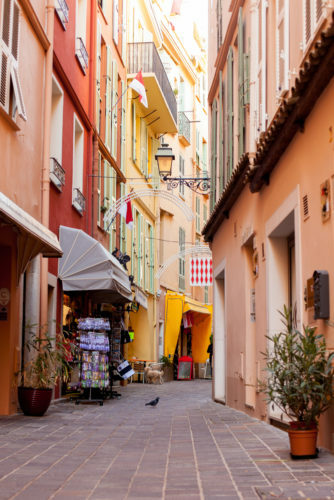 Around the same time, the streets of Monaco were awash with the vibrant color of ripening fruits on the bitter orange trees – a sight locals hold dear in their hearts. Unlike their sweet counterparts, the bitter oranges are not suitable for juice, and have traditionally been used for marmalade making, a tradition that has receded in recent years. The oranges that come from this region, and that are used in making this liqueur are therefore amongst the rarest available, which truly makes this a unique product. 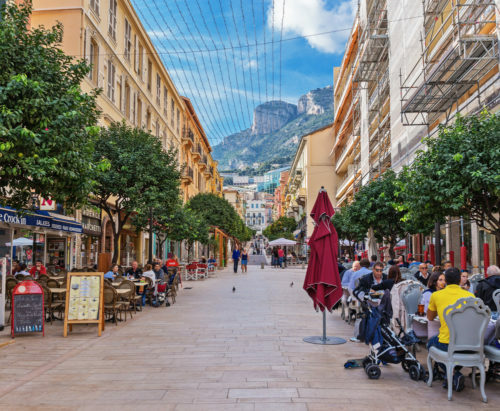 There are over 600 orange trees growing on the streets of the Principality. Handmade from start to finish – the liqueur starts its journey in January, when the oranges are picked from the trees by hand in Monaco and passed to the L’Orangerie distillery. 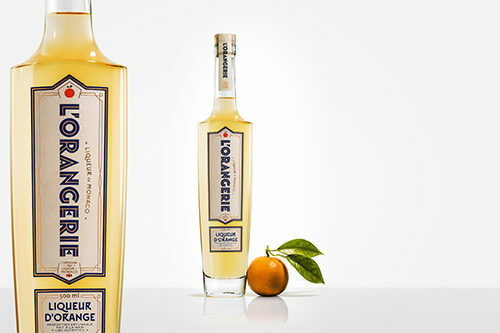 The oranges are carefully washed, the zest is then extracted by hand, and infused in alcohol for a number of weeks before a small quantity of specially selected natural ingredients are added, to give you the original L’Orangerie liqueur. Local favorites in this area include La Bionda for traditional and family style Italian food or 3 Tapas for a French take on classic Spanish shareables. 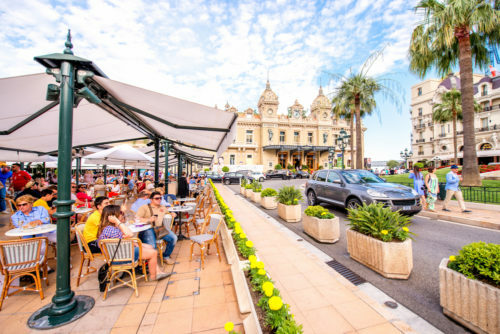 Several more casual and laid-back options for day into the night include the Brasserie de Monaco, Jack Monaco, La Rascasse and Stars and Bars. For the arguably the best views in the Principality, overlooking the entirety of the port, try La Marée or the 1 Michelin starred Le Vistamar where Chef Benoît Witz’ motto is “living well, looking good” which resides on the terrace of Hôtel Hermitage, the 5-star hotel which epitomizes carefree elegance. With a magnificent panoramic view overlooking the Port and the expansive Mediterranean sea, elevated on a rocky boulder stands the Palais Princier de Monaco, the official residence of the Monegasque-famed royal family, the Grimaldi’s. The Palace is currently home to H.S.H Prince Albert II, son of Prince Rainier III and Grace Kelly. 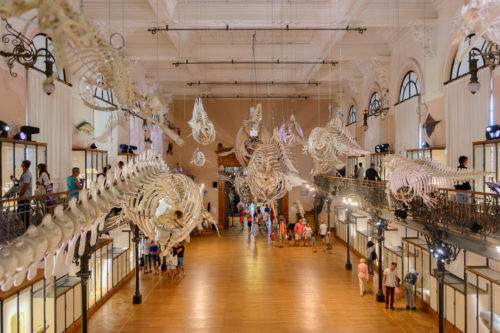 While up on Le Rocher, you may also want to visit the Musée Océanographique which features a 20’ deep lagoon where sharks and marine predators are separated from colorful tropical fish by a coral reef. Up on Le Rocher, you won’t find any cars as you walk through the narrow cobblestone streets lined with shops, cafes and patisseries. 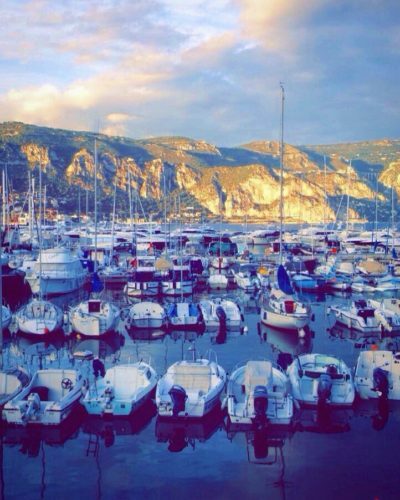 In a prime location, at the foot of Le Rocher is the smaller marina in Monaco, known as the Port de Fontvielle. The Port de Fontvielle was built due to increased economic development in the Principality. 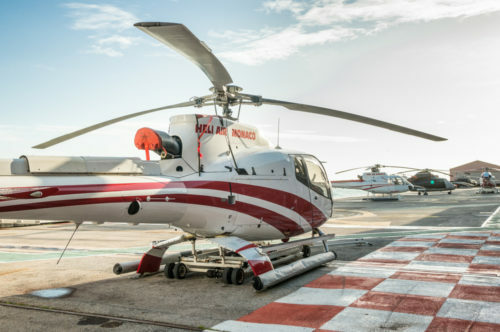 Many Monaco visitors and inhabitants choose to arrive in the principality via helicopter, to the heliport located in Fontvielle. 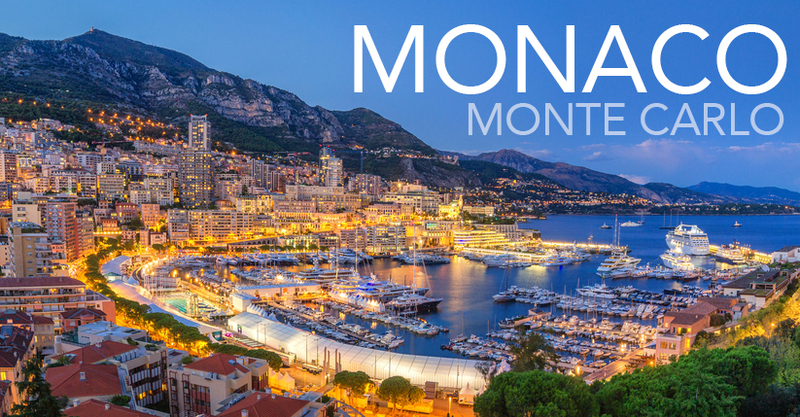 Monacair provides regular transfers between Monaco and Nice Airport in 7 minutes. 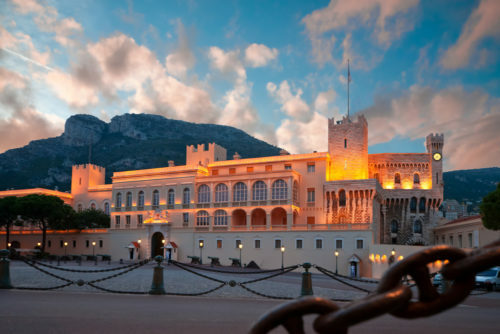 Built on the sea in the district of Fontvieille and inaugurated by HRH Prince Rainier III is Stade Louis II. The stadium, easily recognized by its arches, is a huge complex known where the AS Monaco football (soccer) team plays all of their home games. 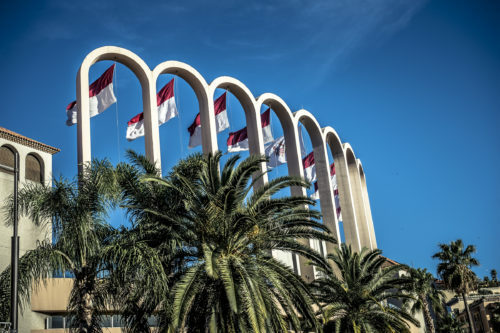 The stadium is also home to an aquatics center, basketball courts and other athletics centers and even the International University of Monaco, a member of the Groupe INSEEC with specialized programs in Finance, Marketing, Sport Business Management, Luxury & International Business. There are also numerous shops and several note-worthy restaurants located in the Port of Fontvielle including Beefbar, known for its’ quality preparation of meats and elegant yet chilled atmosphere, the modern-Italian La Saliere which is the very popular lunch option in this area and Moshi Moshi, an intimate Mediterranean fusion sushi bar. 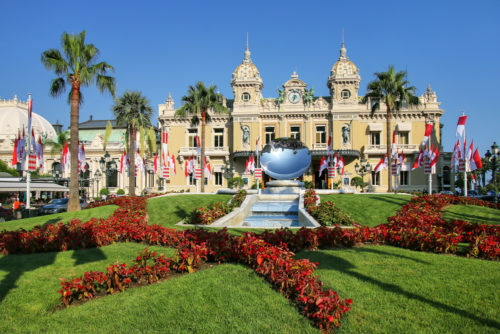 In the Place du Casino, you will find the illustrious Casino de Monte-Carlo, the legendary casino frequented by the world’s most elite and prestigious clientele bustling with high stakes and high style. Also in the Place du Casino is the infamous Hotel de Paris, which exemplifies the epitome of the art of fine hospitality. 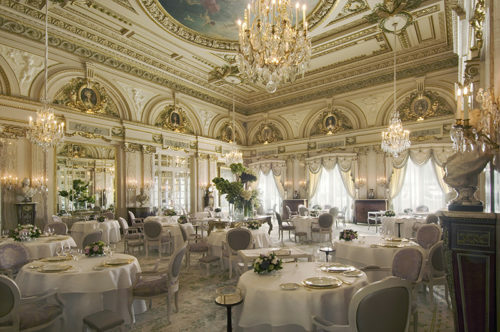 Inside the Hotel are three restaurants, each with a unique culinary experience – 3 Michelin starred Le Louis XV – Alain Ducasse à l’Hôtel de Paris, Le Grill and L’Hirondelle in addition to the acclaimed Le Bar Américain. 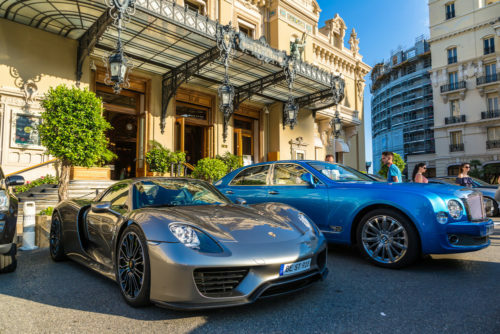 An experience that cannot be missed during your visit to Monaco would be the compulsory cappuccino, or glass of rosé depending on the time of day at Cafe de Paris while viewing the world’s most exotic and luxurious sports cars driving through the square. 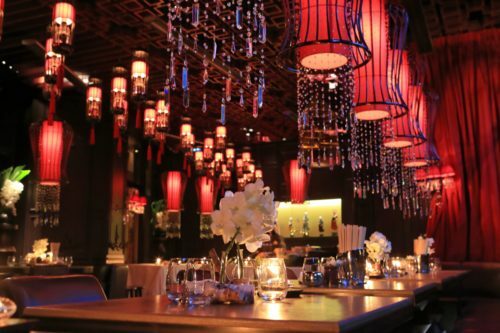 For an exotic dinner with a lounge feel and a delicious selection of sashimis, makis and other Asian gems, Buddha Bar is a must. Many hot spots are also strategically located at the infamous Fairmont hairpin curve, including the immaculate Fairmont Hotel, James Beard Award winning Nobu by Chef Nobu Matsuhisa and Nikki Beach, where you can soak up the sun all day and party under the stars all night- and of course, arguably the world’s best view from a Starbucks. 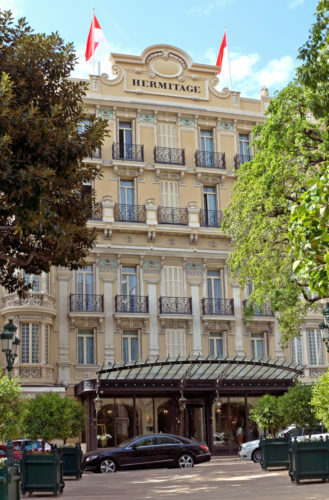 Ideally situated in the Carré d’Or, within walking distance of the Casino, Hotel Metropole Monte-Carlo overlooks the Mediterranean Sea. It is a source of wonder for your senses, emotions and dreams. The architecture and decoration are classical and timeless with a touch of modernism, featuring a charming setting by the pool, with Haute Couture décor designed by Karl Lagerfeld. 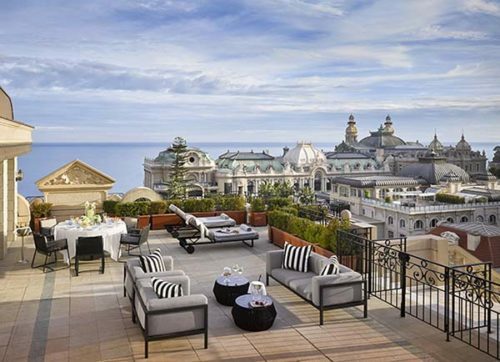 Chic and bright, the Monte Carlo Bay Hotel & Resort is on its own beautiful peninsula in Monaco. With over 250 rooms with a sea view, the hotel also serves as home to 3 restaurants: le Blue Bay, Las Brisas and l’Orange Verte and a bar with sea view terrace, Blue Gin. 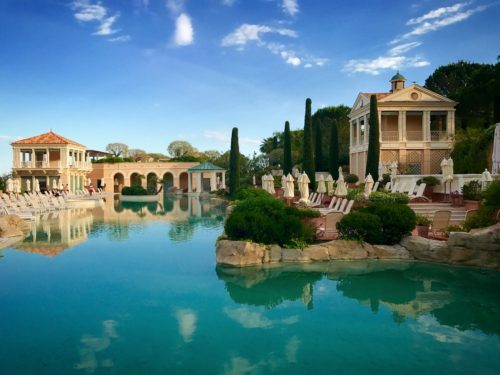 Not to mention the Garden of Eden-esque luxurious lagoon surrounded with neo-classical arcades and colonnades. 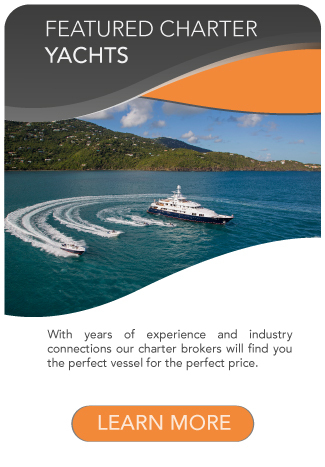 The perfect getaway from your Monaco Yacht Charter. Overlooking the Mediterranean, the Hôtel Hermitage epitomizes a certain carefree elegance at the highest level. 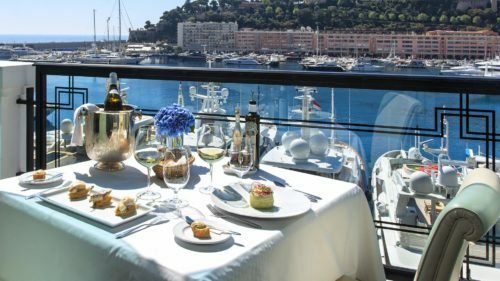 On site are Le Vistamar 1 Michelin Star restaurant with a terrace that offers a panoramic sea views and Thermes Marins Monte-Carlo, the perfect place for a luxurious and healthy break in the heart of Monaco. There are also several oases for the nature lovers who pay a visit to this charming Principality. 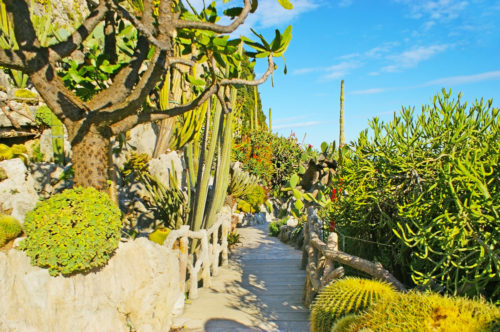 First, the famous must-see botanical garden full of succulents and numerous South African plants, the Jardin Exotique de Monaco located upon a cliffside in the quartier of Moneghetti. Unknown to many, in the cliffside below this impressive jardin, there is a grotto with prehistoric remains which has been turned into a museum. 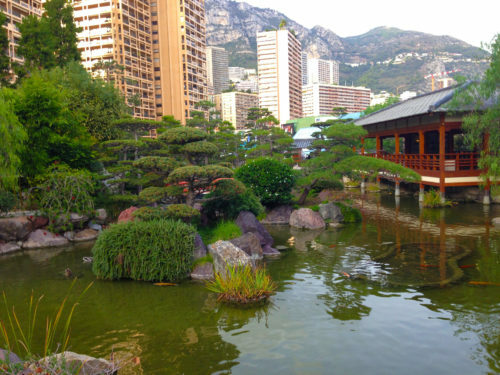 On Avenue Princesse Grace in the Larvotto quartier is the charming and tranquil Jardin Japonais, full of symbolism in its’ fountains, flowers and 12th century Japanese architecture surrounded by ponds of Koi fish. 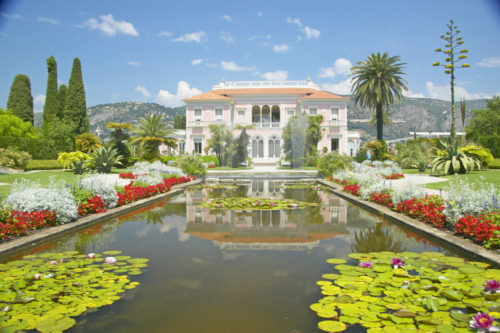 Between Monaco and Nice, in Saint-Jean-Cap-Ferrat, one will also find a stunning natural oasis between 9 landscaped gardens in the Jardin and Villa Ephrussi de Rothschild. The ever-busy Larvotto Beach is known as one of the world’s most glamorous beaches where women come decked out in their diamonds and designer bathing suits and sunglasses. Avenue Princesse Grace which is located along Larvotto Beach is one of the most expensive streets in the world to live on at $6,970 per square foot. 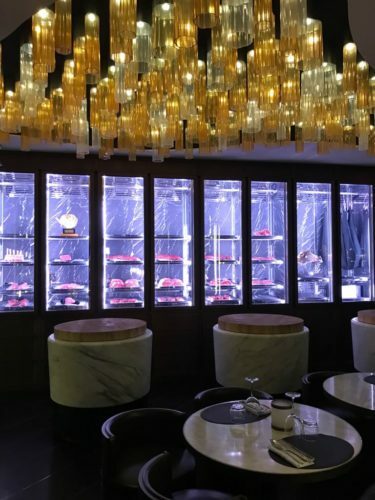 The area along the coast and Larvotto beach is plentiful with delicious upscale culinary options including the prestigious Cipriani, La Trattoria by Alain Ducasse, 1-Michelin starred Le Blue Bay at the acclaimed Monte Carlo Bay Hotel. 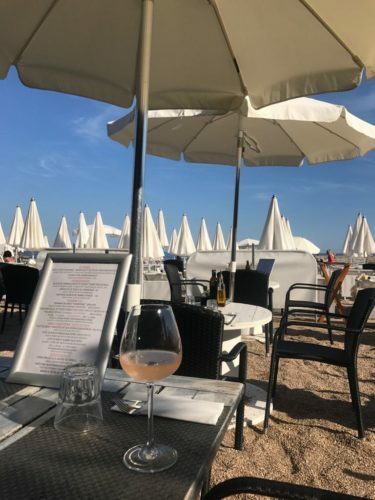 While along Larvotto, you may wish for a more casual lunch experience of dining on the beach itself at Miami Plage or Le Note Bleue. Parallel to Avenue Princess Grace, you will find the Champions Promenade, a beautiful, leisurely walk along the coast lined with imprints of bare feet. 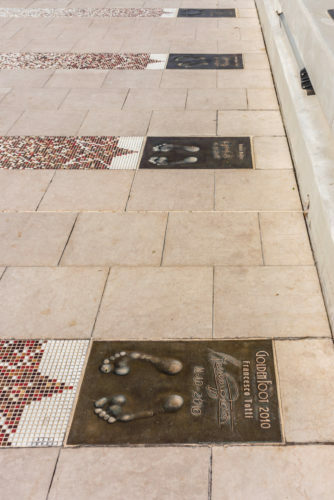 Like in Hollywood, this is where “Football Legends” (known as soccer to the Americans) leave imprints of their feet. 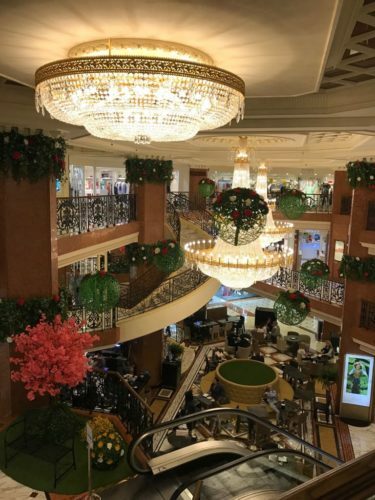 If a day of luxury shopping is what you’re after while in the Principality, you may wish to begin at the Metropole Shopping Center with 80 boutiques, opposite the Casino Gardens where you are welcomed into a luxury décor of beautiful marble under a magnificent period chandelier. 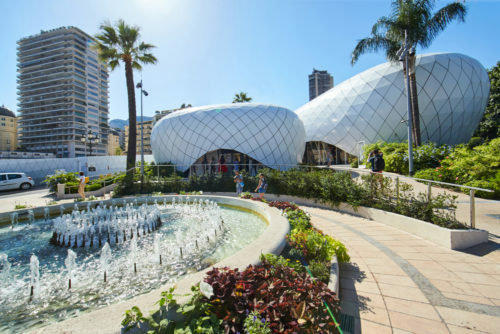 A shopping experience which you will not want to miss will be at extremely trendy temporary buildings of the Monte-Carlo Pavilions which invite customers to experience resolutely glamorous, magical moments at boutiques including Louis Vuitton, Dior, Akris, Céline, Bulgari, Cartier and Yves Saint Laurent. 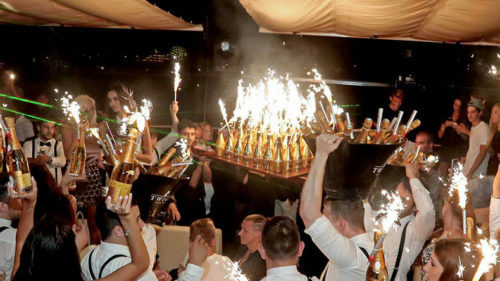 The party scene in Monaco is like none other. Much of Monaco’s unforgettable nightlife exists in this area of the Principality, from the prominent Sass Cafe where you are able to sit outside and enjoy the winds from the sea with a bottle of wine and a shisha on the table or the star-frequented, bustling Twiga along the Grand Prix Circuit, with an outdoor club literally on the water, on a fixed dock. Further down Avenue Princesse Grace are the newly remodeled Zelo’s, with panoramic sea views from the top floor of the Grimaldi Forum where many conferences and tradeshows are held, and Jimmy’z, which seems to be the nightclub of choice for many, known as the “temple of clubbing” for over 40 years with the hottest names in dance music frequenting the turntables. 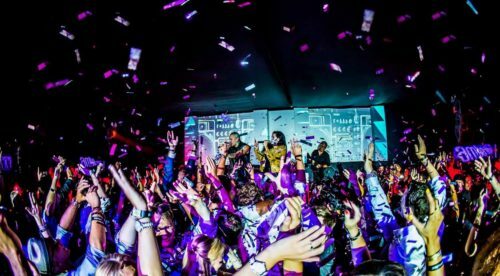 During the Grand Prix only, Amber Lounge – one of the most prestigious Formula 1 events – takes place packed with F1 Driver Fashion shows, charity auctions and of course, the utmost jetset clubbing experience. 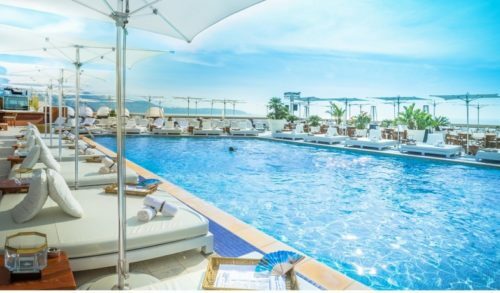 Also, only occurring during the four days of the Grand Prix is Sunset, the ultimate beach party on the dazzling shores of Le Meridien Beach Plaza where you’re bound to hear bottles of champagne popping and see incomparable live performances. 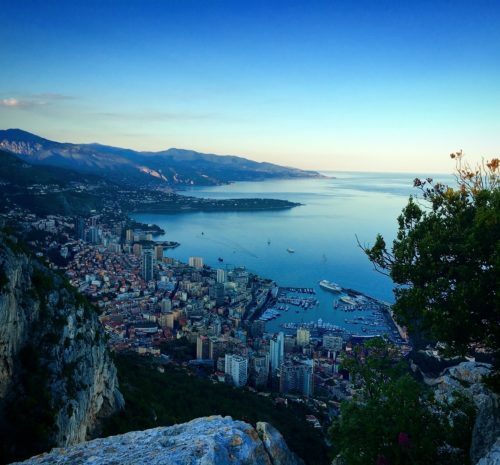 During your trip along the Côte d’Azur before heading to the luxurious Cannes and St. Tropez, you will also want to take a drive up to La Tête de Chien in La Turbie for the most spectacular views there are of the principality of Monaco. 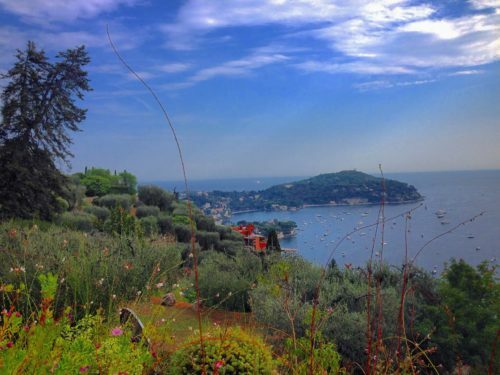 Or you may also want to take some time to visit the charming and sparkling seaside towns of Villefranche, Beaulieu-Sur-Mer, Saint-Jean-Cap-Ferrat which are also lined with yachts, villas and opulence. The dates of the infamous Cannes Film Festival generally tend to coincide well with the Grand Prix, taking place May 8th through May 19th, 2018, meaning you can enjoy two of the world’s most glittering events all in one yacht charter. 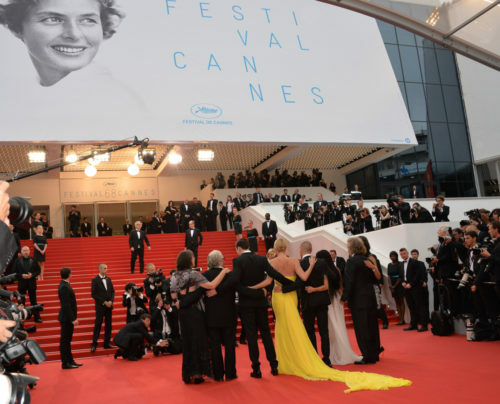 The Cannes Film Festival is undeniably one of the most glamorous events on the luxury yachting calendar, ideal for a Monaco Yacht Charter. 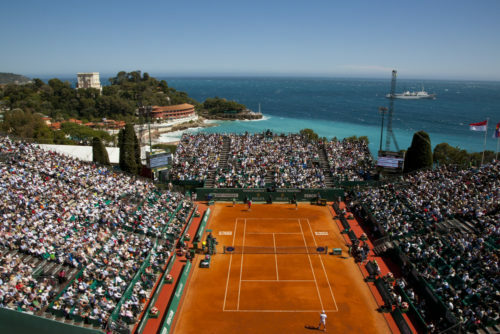 For sports fans, Monaco is also home to the Rolex Monte-Carlo Masters, part of the ATP World Tour Masters 1000, which takes place this year from April 14 – 22, 2018 on the clay courts at the Monte Carlo Country Club. 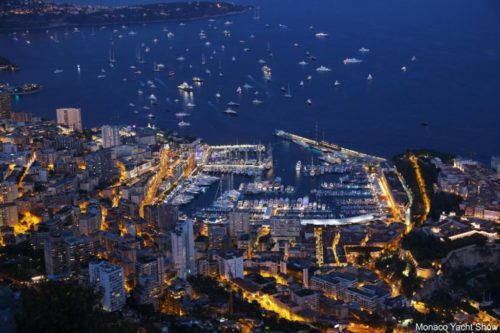 In late September, the Port Hercule hosts the Monaco Yacht Show, an incredible spectacle dedicated to luxury yachting. The Monaco Yacht Show has been one of the Principality of Monaco’s iconic events since 1991, and is an unmissable annual highlight on the yachting scene. 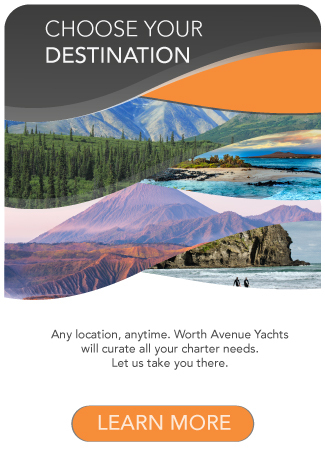 The perfect event to find you next Monaco Yacht Charter. 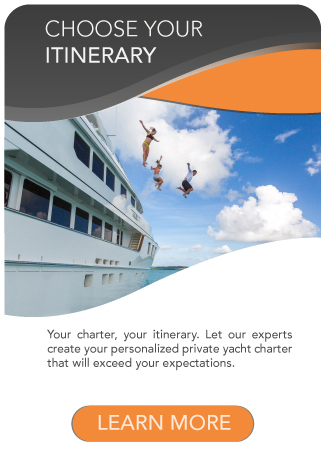 We look forward to creating an unforgettable custom monaco yacht charter experience for you.